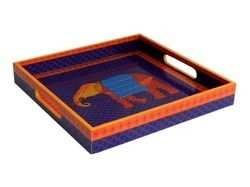 This Designer Product is made by wooden in ethnic designs and every product is minutely crafted and designed to suit your taste the trays covered in excellent quality traditional artworks, which is enough to draw attention and appreciation for all of its onlookers. We are a prominent organization engaged in manufacturing and supplying a wide range of Wooden Tray. These trays are designed from the best quality of material & latest techniques in fulfillment with the set standards of market. 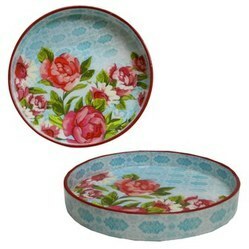 Offered trays are accessible on various designs & sizes as per the needs of customers. Also, these trays are properly checked from our side for ensuring its defect free range to customers.